Srinagar, January 11 (KMS): In occupied Kashmir, an anti-India protest demonstration, organized by the Joint Resistance Leadership, was held at Aabi Guzar in Srinagar, today, to condemn the genocide of Kashmiri people and unabated detention of Hurriyat leaders and activists. Srinagar, January 11 (KMS): In occupied Kashmir, Indian troops launched a cordon and search operation in the Kupwara district, today. Washington, January 11 (KMS): The United States has issued a new travel advisory for countries including India, identifying crime and terrorism for Americans to exercise increased caution. The advisory urges US citizens not to travel to Jammu and Kashmir. Srinagar, January 11 (KMS): In occupied Kashmir, the Chairman of All Parties Hurriyat Conference, Syed Ali Gilani has said that the pro-India Kashmiri political parties are well aware of the freedom sentiments of the people, but they deceive the masses by exploiting these sentiments. Srinagar, January 11 (KMS): In occupied Kashmir, the Jammu and Kashmir Democratic Freedom Party (DFP) has strongly condemned the gruesome killing of a civilian, Khalid Ahmad Dar, by the Indian forces at Khudwani in Kulgam district. 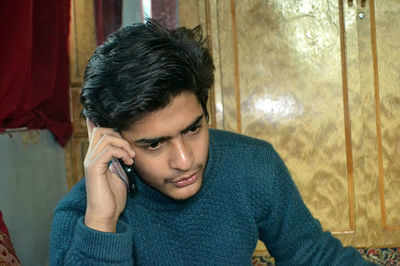 Srinagar, January 11 (KMS): In occupied Kashmir, the brother of Burhan Wani, whose killing triggered mass uprising in 2016, and the son of Muhammad Afzal Guru, who was hanged and buried in Tihar jail by India in 2013, have passed the 12th class exams with distinction.